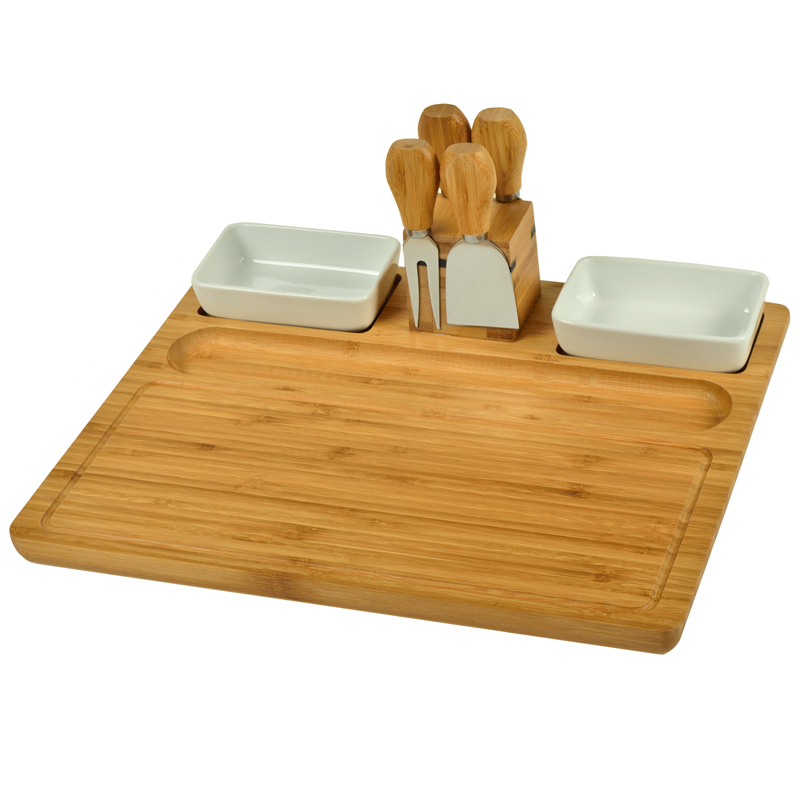 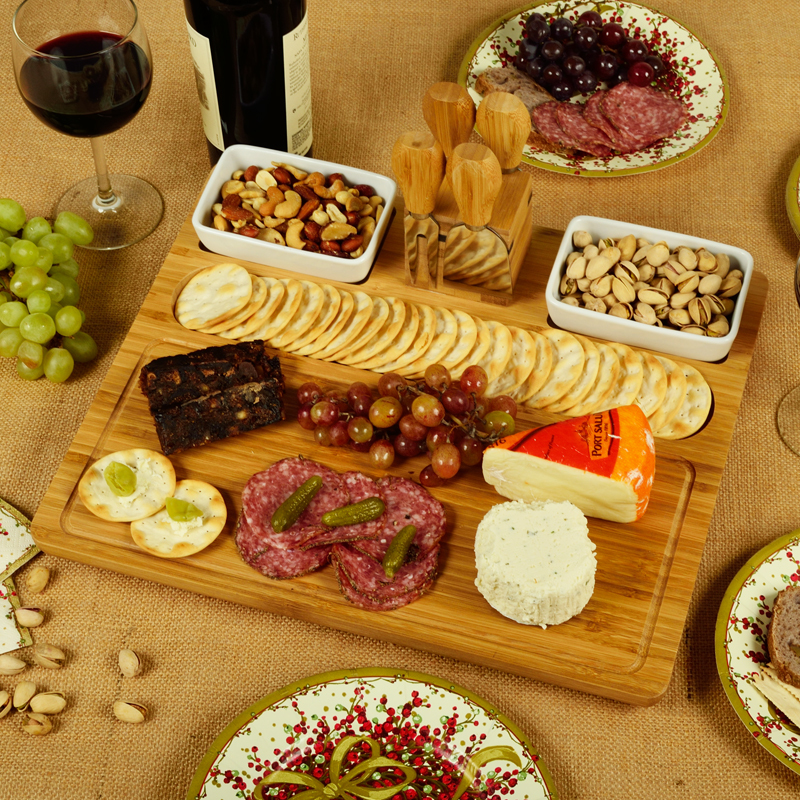 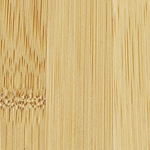 Bamboo serving tray with a section for bread & crackers and a section for cheese. 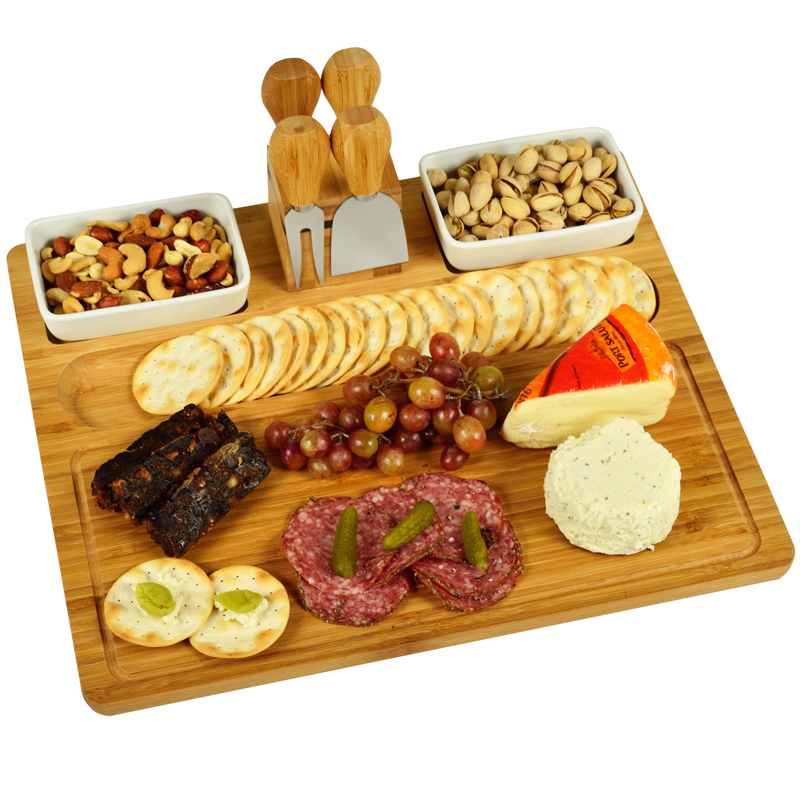 Includes two ceramic deep dishes , and four stainless steel cheese tools which attach to the center magnetic block. 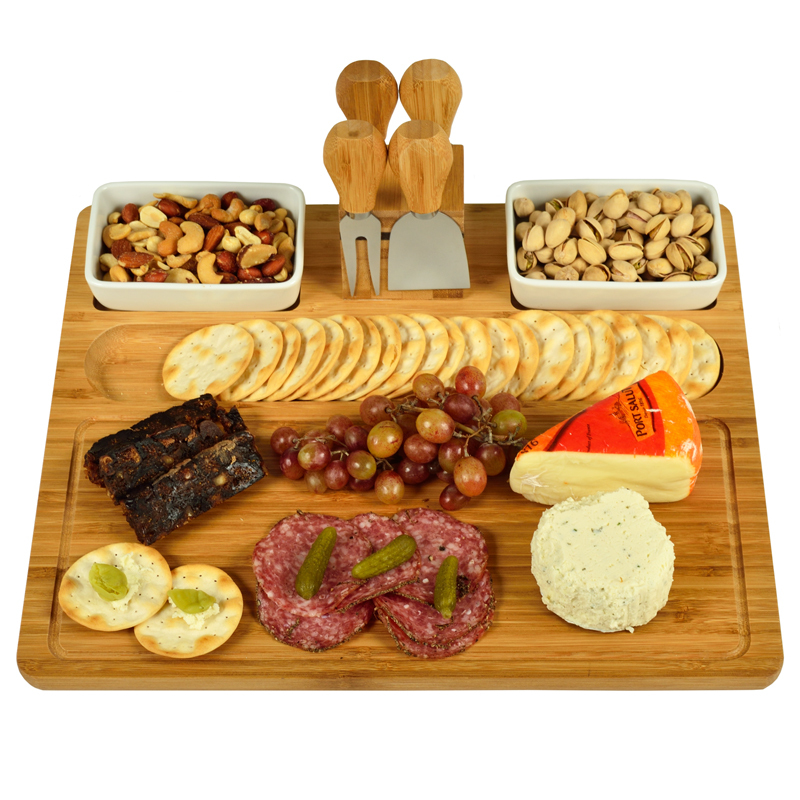 Serving tray includes an attractive juice groove.